As NASA's Juno spacecraft flew through the narrow gap between Jupiter's radiation belts and the planet during its first science flyby, Perijove 1, on August 27, 2016, the Stellar Reference Unit (SRU-1) star camera collected the first image of Jupiter's ring taken from the inside looking out. 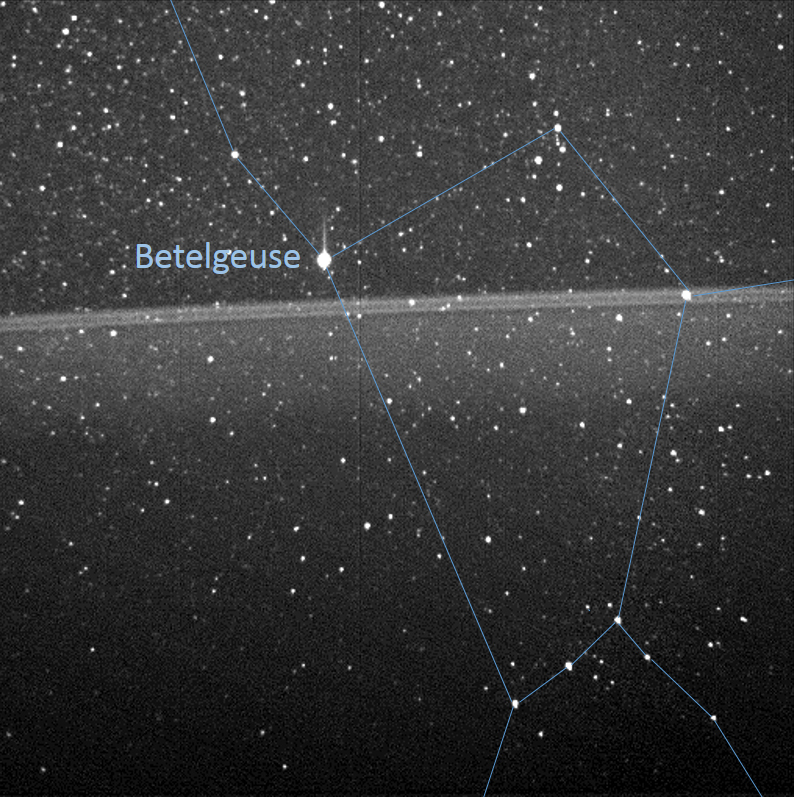 The bright bands in the center of the image are the main ring of Jupiter's ring system. While taking the ring image, the SRU was viewing the constellation Orion. 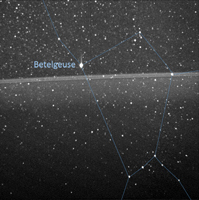 The bright star above the main ring is Betelgeuse, and Orion's belt can be seen in the lower right. Juno's Radiation Monitoring Investigation actively retrieves and analyzes the noise signatures from penetrating radiation in the images of the spacecraft's star cameras and science instruments at Jupiter.